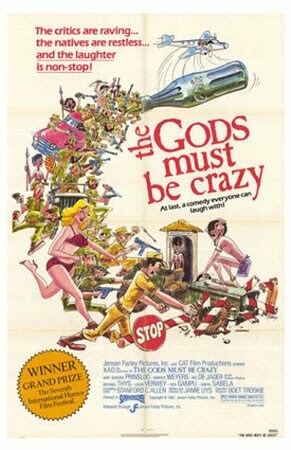 'The Gods Must Be Crazy' is a 1980 film, written and directed by Jamie Uys. 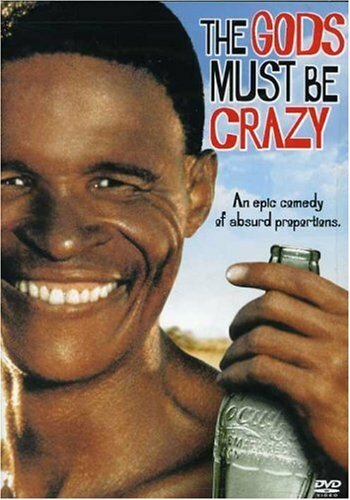 The film is the first in 'The Gods Must Be Crazy' series of films. Set in Botswana and South Africa, it tells the story of Xi, a Sho of the Kalahari Desert (played by Namibian San farmer Nǃxau) whose band has no knowledge of the world beyond. The film is followed by four sequels, the final three of which were made in Hong Kong. Since it has caused the band unhappiness on two occasions, Xi decides that the bottle is an evil thing and must be thrown off of the edge of the world. He sets out alone on his quest and encounters Western civilization for the first time. The film presents an interesting interpretation of civilization as viewed through Xi's eyes. what an interesting movie that i've ever seen before. i like this movie because it still leaves moral lesson to the audience.